Israeli forces have fired live bullets and rubber-coated steel rounds at Palestinians protesting along the fence separating Gaza from Israel, killing at least five of them and wounding a further 170, according to medical officials. Four of the five people killed were identified as Ayesh Sha’th, 23, Saeed Abu Lebdeh, 22, Nassar Abu Taym, 23 and Mohammad Abdul-Nabi, 27, Palestinian news agency Wafa reported. Some of those wounded were taken to hospital for treatment, while others got medical assistance in the field clinics along the fence. 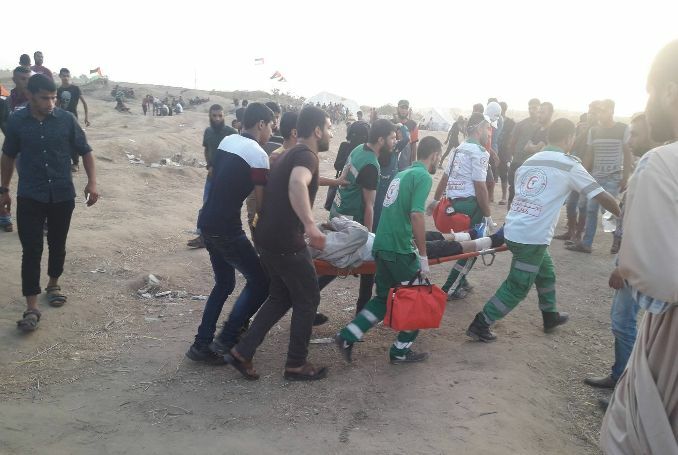 Be the first to comment on "Israeli Forces Kill Five Palestinians during Friday Protests in Gaza #Palestine #GroupPalestine #israelTerrorists #boycottIsrael"